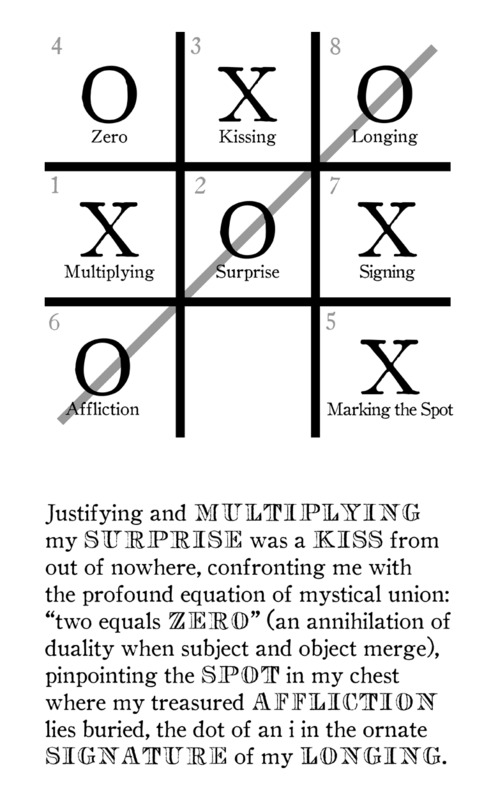 The Serif of Nottingblog offers today's Tic Tac Toe-generated poem. In alternate turns, complete a row, column, or diagonal with three X’s or O’s. Each X and O has a discrete unit of meaning, as detailed in the Dictionary of One-Letter Words. Choose and write a letter meaning alongside each X and O placed in the grid; don’t repeat a letter meaning within the same game. Number each turn on the grid, to establish the linear progression of the story. When the game is finished, use the sequence of key words to construct your story, adding connecting phrases as necessary. Click here for a printable template. Thanks to Gary Barwin for inspiration! 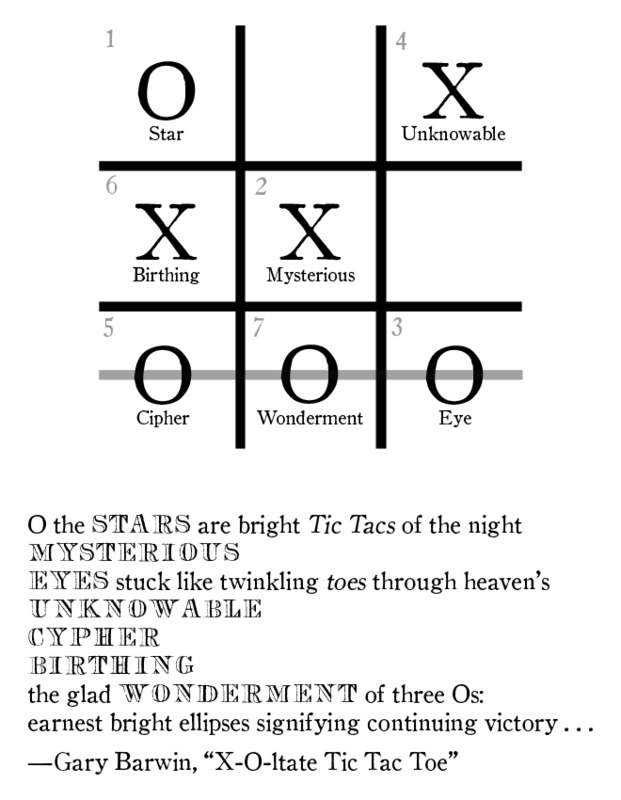 > read more from Puzzles and Games :: Tic Tac Toe Story Generator . 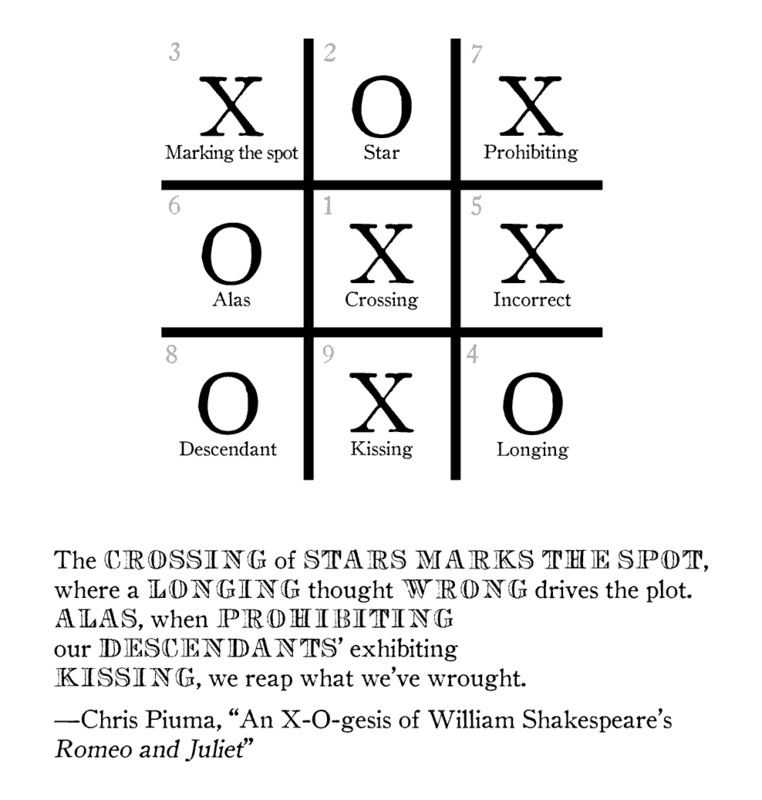 . .
Chris Piuma, rapier sharpened by a battery of Latin examinations, offers today's Tic Tac Toe-generated story. Our new Tic Tac Toe generator builds stories out of the one-letter words X and O. Here's an example. To play along, see below for instructions and a link to a template.